For 0.77” and 19.5mm panels, Where high pressure laminates are used. Machine either with MCC or MCV for CNC volume production. For 0.71" and 18mm panels. Mitre corner with round profile. Machine either with MCC or MCV for CNC volume production. For 3/4", 18mm and 16mm panels. Stickman's legs removed to avoid need for packing out of panels. Machine either with MCC or MCV for CNC volume production. For 16mm and 5/8" panels. Machine either with MCC or MCV for CNC volume production. For 1/2" and 13mm panel where reduction in weight is sought. Machine either with MCC or MCV for CNC volume production. Injection moulded corner. Eliminates the need to mitre three way corners. Integral colour or satin chrome finish. For 3/4" and 19mm panels. Machine either with MCC or MCV for CNC volume production. For 0.71" and 18mm panels. Mitre corner with square profile. Machine either with MCC or MCV for CNC volume production. Square corner for 3/4", 18mm and 16mm panels. Stickman's legs removed to avoid need for packing out of panels. Machine either with MCC or MCV for CNC volume production. For 16mm and 5/8" panels. Mitre corner with square profile. Machine either with MCC or MCV for CNC volume production. For 12mm panel where reduction in weight is sought. Machine either with MCC or MCV for CNC volume production. Injection moulded corner. Square. 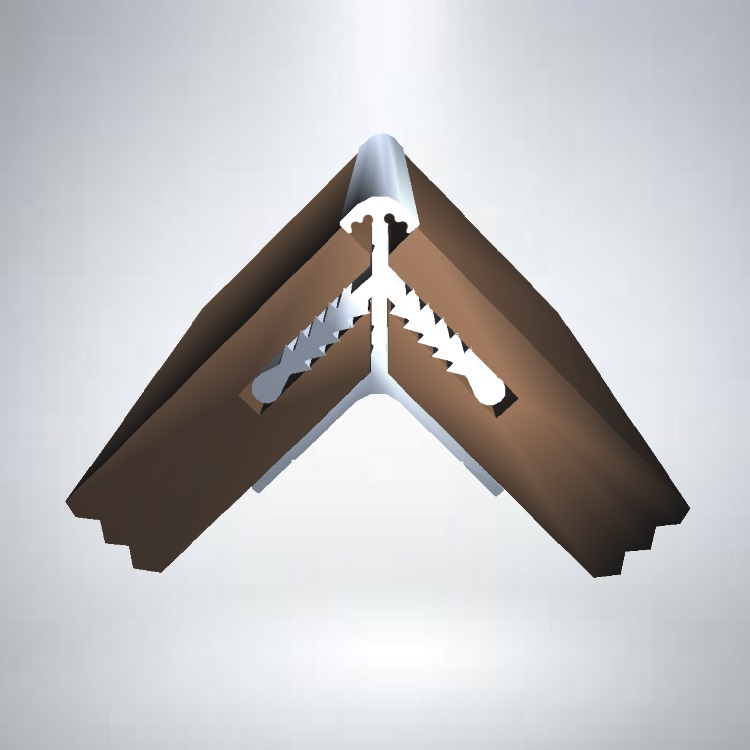 Eliminates the need to mitre three way corners. For 3/4" and 19mm panels. Mitre corner with square profile. Machine either with MCC or MCV for CNC volume production. For 3/4" and 18mm panels. Where the KD assembly benefits are sought but also desire to be visually discreet. Machine either with MCC or MCV for CNC volume production. Machine either with MCC or MCV for CNC volume production. MC18X for 18mm PLANKWALL (slatwall) towers where maximum merchandising space is sought and least vertical corner profile is visible. Machine either with MCC or MCV for CNC volume production. For use with 18mm and 6mm panels on tower and furniture items. Other types of 6mm panel materials can be used. Possibly for illuminated signs. Injection moulded corner. Satin Chrome finish. Small, 0.59 inch/15mm.